In oil (2 tsp) fry urad dal till golden brown. Add curry leaves, red chillies, garlic and saute. 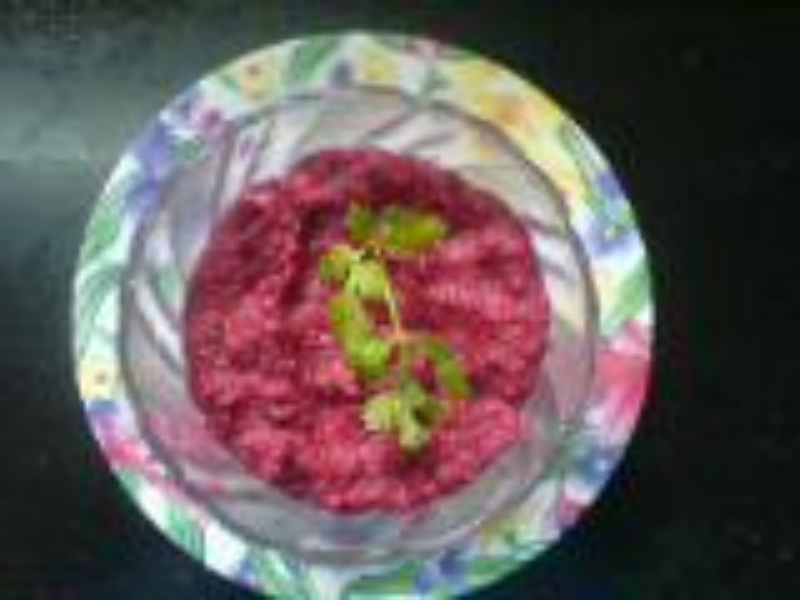 Add beetroot and saute well till cooked. Add coconut and saute 2 minutes. Grind with tamarind, salt to thick chutney.